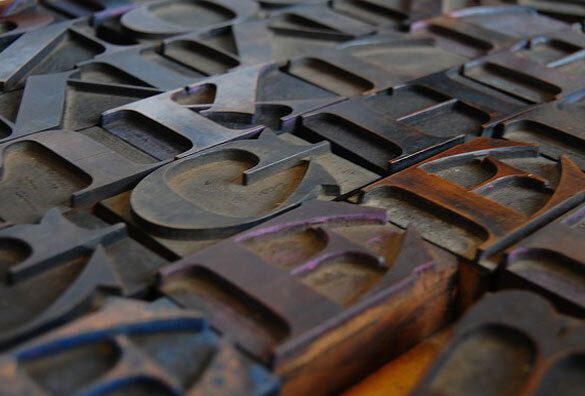 The digital age has removed us from the more tactile practices of letterpress and movable type printing, yet fortunately these nostalgic artforms haven’t been lost completely; thanks to those who are keeping these traditions alive. In the following video, print master Robert Warner from “Bowne & Co” in NYC discusses his love for letterpress printing and the hypnotic sensations associated with working on a vintage press. In this video below, Paul Collier from the “Plymouth University” in the UK discusses the revival of letterpress printing and what draws him to the craft. Nashville Tn’s “Hatch Show Print” & their 125 year old traditional printing techniques are examined in this short film below. Since I live here in Nashville, it was not only my duty as a graphic designer to check out this famous local print shop, it was my pleasure. When I can afford to do so, I hope to one day do an internship there. Hi Derek. Nice to see you giving some love for letterpress. It really is a true artisan skill and it is so good to see it’s revival continue. I’m often amazed at how many graphic designers and even printers are unaware of the process. Letterpress print and good graphic design is a combination hard to top. Steven, thanks for the comment. It was actually your graphic design website / blog that I first saw the “Upside Down, Left To Right” Letterpress film. Figured I’d share it with my readers, along with a couple of other relative films. So thanks for the inspiration!